This a review of a magazine from publishers Cosmic Publishing Co., Ltd, “100 yen goods that make a difference – Storage and Organizing techniques Vol. 2” (100円グッズでここまで変わる収納&片づけ術). 100 yen shopping and DIY is big in Japan. There are books, magazines, websites (this included!) and even television programs to introduce the wonders of 100 yen products. 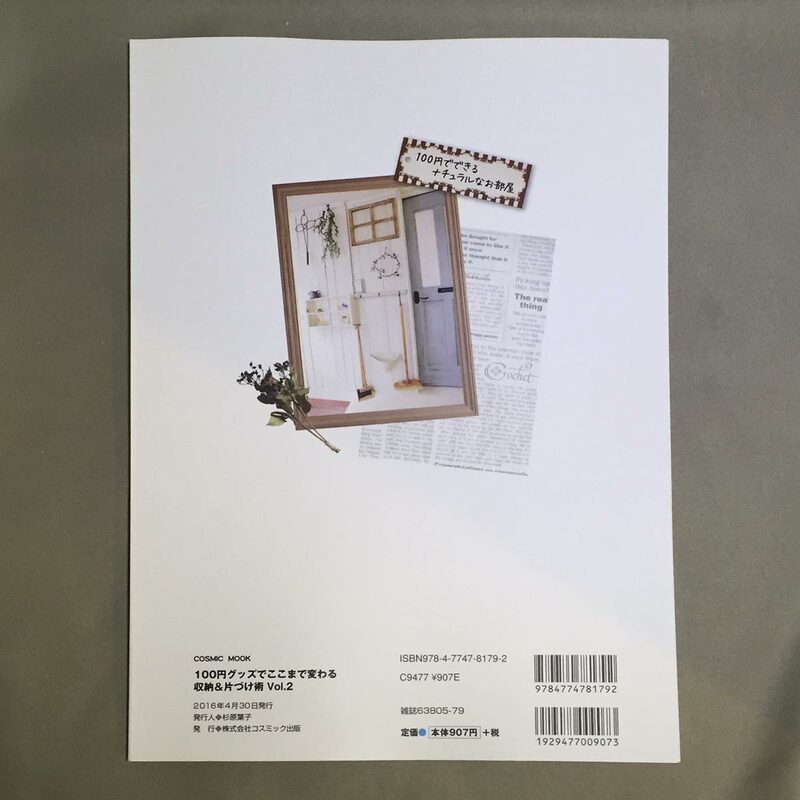 The magazine costs 907 yen (excluding tax) and claims to have 330 ideas to make your room look stylish. Chapter 1 introduces 3 households, each doing a show and tell of their home, and photos of their storage and organizing techniques. Chapter 2 is about storing things to be seen, and how hiding things you don’t want to be seen by organizing them. Chapter 3 discusses how to make organizing and storing items around the home fun, making rules for items. 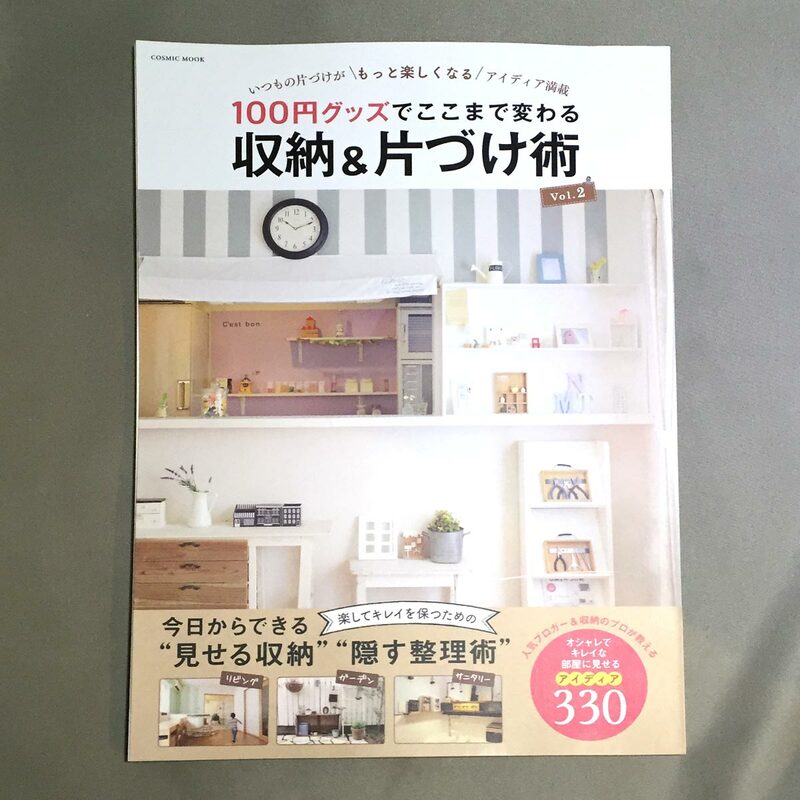 Chapter 4 touches on the 3 big 100 yen shops, Seria, Can★Do and Daiso, how to shop and what types of items are sold in each shop. Chapter 5 is a section on DIY using 100 yen goods. I picked up the magazine from the local bookstore as it seemed to cover creative uses of 100 yen goods for around the home. I was hoping to get some ideas for the home and to introduce on this site. 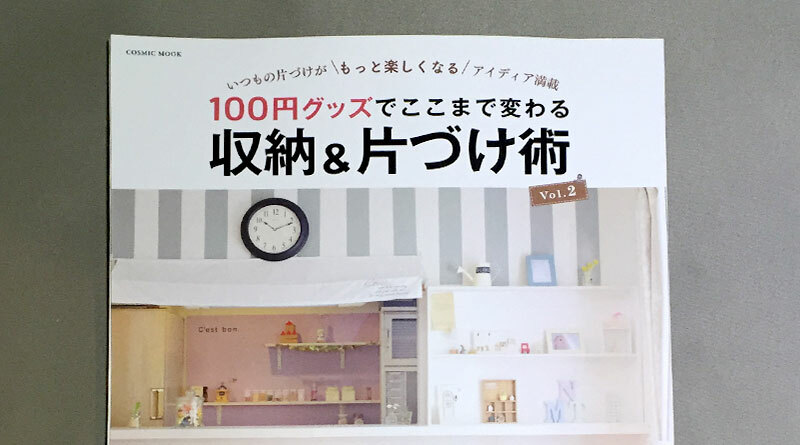 The first chapter introduces three households, their homes, and their rooms, how they organize and store their ‘stuff’, and what 100 yen products they use around the home. I’d have to say that the three homes looked like they were cafes or cottages rather than typical homes. There were some creative techniques which I did like. For example, they introduce a tool box made from trays with a strip of magnet stuck in the tray. The magnet can hold the tools inside the trays, which can be stored in a box, very creative. And there is a nice garden pot idea that uses a ladle as a pot for flowers, and the handle can hang on curtain rails. I didn’t count if there were 330 ideas in total, but I can tell there were not 330 ideas that involved 100 yen goods. Overall, I was not impressed with this magazine.